For more information, please see the entry form. Curved piecing by machine.A traditional block given a new technique. Learn how to rotary cut pieces using templates provided, and sew them quickly on the sewing machine. Try dark and light, positive and negative or just scrappy light and dark fabrics. 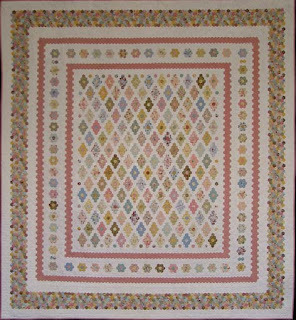 The plan for one day is to make a 9 block quilt, but you may prefer to make a larger quilt later. Acrylic templates will be for sale in class ($20 to the tutor). Click here for the workshop booking form. make an extract of policy matters passed by the committee, showing date of meeting and decision, and maintain these extracts in a file held by the Minutes Secretary. This position is pivotal to the committee's decision making capacity. The main function is to support committee and members with provision of clear and concise information in a timely fashion and set the committee's agenda so that essential issues are actioned by committee. This role does require the use of e-mail and a personal computer, particularly at times prior to and after committee and member meetings. Communication with committee members accesses information about the work performed by members, thereby giving the Minutes Secretary much knowledge about the Guild's management and activites undertaken for the benefit of members. Importantly, this role assists the committee's focus on their target priorities. Whilst it is a great opportunity to learn about the Guild's role, it also allows you to get to know members more intimately. 10am, Saturday 4 August 2007. This is the Guild's first Saturday showcase and bookings are essential. Please telephone the Guild office (02 9283 3737) to reserve your place. 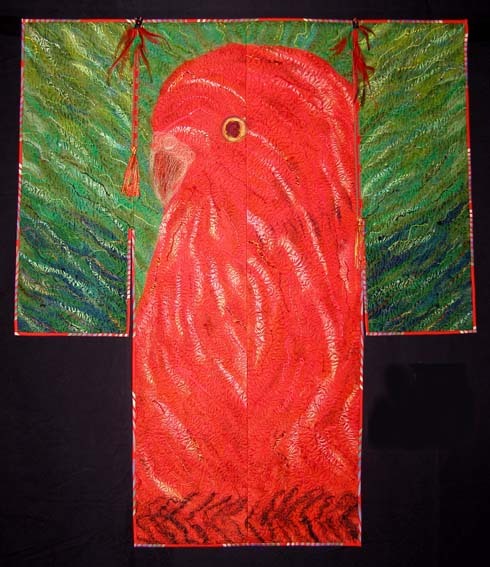 Due to the forthcoming APEC summit, the September showcase has been rescheduled to Friday, 31 August 2007 at 10am with professional machine quilter Kaye Brown from the Finishing Touch. Kaye specialises in heirloom, freehand machine quilting and teaching long arm machine quilting techniques. See the Guild website for more information about the Showcase program. The Guild library is one of the major benefits of belonging to the Guild and it is available to all members. Three books may be borrowed at one time (3 magazines count as one book). The Guild pays for the outward postage and the member pays the return postage. Books may be kept for one month, the due date is shown in the pocket at the front of the book. Please ensure that books are returned on time in good condition. When borrowing books by mail, fax, phone or e-mail, please give at least six tiles so that we can be sure of filling your request. The list of titles held by the library was updated last week and can be viewed online. Alternatively, you can download the listing as a 105KB pdf document. Suggestions from Guild members for new titles are always welcome. A rare treat for quilt-lovers will be the annual public showing of the historic Rajah quilt. This amazing example of early colonial craftsmanship was made by convict women en-route to Hobart Town, Australia, in 1841 on board the ship Rajah. Due to its size, fragility and light sensitive nature, the quilt is only available for viewing once a year. See it for a limited time only from August 8 – 29 at the National Gallery of Australia. It will be on display daily from 10am – 5pm, and it will coincide with the Canberra Craft & Quilt Fair and a selection of special lectures and events. For more details, visit the website www.nga.gov.au/calendar or phone (02) 6240 6502.
attendance at monthly committee meetings and ongoing liaison with the President, Exhibition Organiser and layout designer, Drop Off Ladies, Publicity/Sponsorship officer, and Quilt Show subcommittee and proof readers. A home computer and knowledge of (or a willingness to learn!) word processing, spreadsheet and mail merge programs is essential as is familiarity with sending and receiving e-mails. A detailed time line is available for review - the March-June period is particularly busy and exciting as you get a sneak preview of all the wonderful quilts that will be on display and get to see how everyone's hard work comes together for the Guild's premier event. A comprehensive package of precedent documents will be delivered on handover and the outgoing Exhibition Secretary is willing to provide guidance as required. 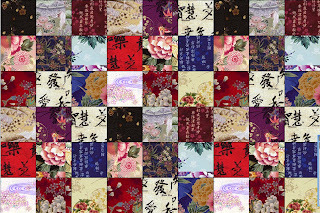 The New Quilt: Contemporary Quilt Textiles is a juried biennial exhibition organised by The Quilters' Guild of NSW Inc in conjunction with the Manly Art Gallery & Museum. The next exhibition is set for 25 January - 24 February 2008. Entry is open to all quiltmakers. Work must not have been previously exhibited in NSW and must have been completed since January 2006. The closing date for the return of the completed entry form is 5 October 2007. Please direct any queries to Pamela Fitzsimons. Our next general meeting is at Burwood RSL on Saturday, 18 August 2007. This is market day and sales start at 11am. Whether you are a fully fledged quilting business or simply want to clear out your stash (or somewhere in between), if you are a current Guild member you can book a sales table for $5. Contact the Guild office to make a booking now. The Guild’s scholarship program has provision to distribute financial support to one or more members during 2007/08. A maximum of $5,000 per annum is available, to be shared between two or more successful applicants, or a maximum of $3,000 to one applicant. dates when progress report, final report and receipts/expenses incurred, would be provided to the Guild. be a guest speaker or demonstrator at a Burwood meeting. funding country travel and accommodation expenses whilst developing community interest and expertise in quilting, as part of a non-profit making exercise. The closing date for submissions is 30th August 2007. Announcements will be made at the AGM in October 2007 . For further information contact the Vice President through the Guild office. 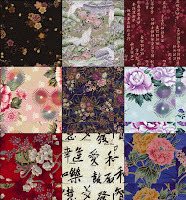 Participating in the Block of the Quarter drawn at the August Guild meeting at Burwood couldn't be simpler - if you win just three sets, you'll have enough blocks for a lovely Japanese bag. All instructions are in the June issue of The Template. Above you will see examples of the blocks (you have to make one of each ninepatch to make a set for entering the draw) and below an example of the layout of six blocks which forms the basis of the bag (shown here flat). 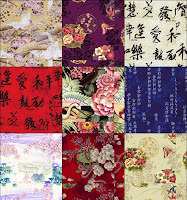 You'll notice that each block is composed of nine different fabrics - not two. The variety is part of the final bag's charm, so please do follow this requirement. You can use the same nine fabrics for each block (although the more the merrier - maybe it's time to do some swapping with quilter friends? ), but please do have nine per block, to play fair with other participants. At the Guild committee meeting this evening, I spotted some blocks that had already come in (you can bring them to Burwood on 18 August or post them to reach the Guild offices by 14 August). They looked yummy! Don't miss out on this BOQ, which was suggested by a Guild member (thank you!). Please feel free to send your BOQ suggestions to the Template Editor via email or snail mail. The Weekend Away in 2007 will be at Jamberoo Lodge from 7-9 September. Arrive early Friday, depart late Sunday, only 90 minutes from Sydney. 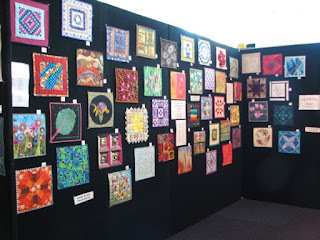 The weekend is restricted to Guild members of the Quilters' Guild of NSW Inc. Full payment is due by 20 July. Indulge yourself with almost three days of nothing but quilting, eating, drinking, laughing and shopping with other Guild members. The Weekend Away is very casual and presents an opportunity to visit local quilt and craft shops in Berry. 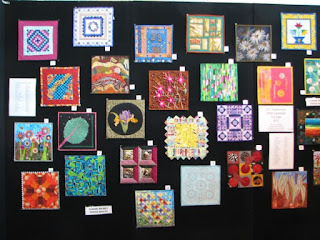 The weekend affords opportunities to make new friends, see others' quilts and techniques and join in with chatting and laughter amongst those who have a common interest in patchwork and quilting. There's a pool and also a tennis court for those who are exercise-minded. Bring your ugliest quilt...the disaster you wish you had never made. There's a prize for the worst. The voting is by secret ballot. 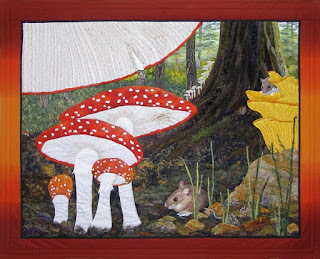 Pam Curtis will be bringing her prize-winning quilts and talking about her frustrations and inspirations. In order to take advantage of our office, there is a new event in the calendar which we envisage taking place monthly or bi monthly based on interest. The first Saturday sewing group will take place on 14 July. This will be a group that evolves into whatever the participants want but will start as an opportunity to get together on a weekend. This is in response to many requests from those members who work during the week. Bring along your sewing, take advantage of the library, or just come to look at the showcase (our first Saturday showcase is scheduled for 4 August). Volunteers are required to run these sessions so please contact me if you are interested. During the past 3 years I have enjoyed this role and found it immensely rewarding. Believe me, it is not as daunting as it may appear....and there is all the support available that you may feel you need. By stepping into this position, the activities have allowed me to meet a spectrum of people in the quilting culture. Before I took on the VP role I hardly knew anyone. Now I feel lucky enough to know a large group of diversified quilters as well as those in the industry. Personally I have developed many strengths as a result of speaking to members at our bi-monthly meetings, as well as conducting workshops with local, interstate, and overseas tutors. 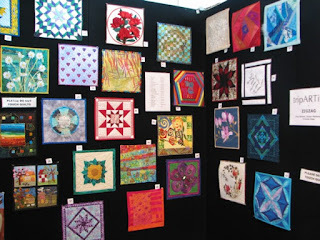 You also get to see all the winning quilts before they are displayed at the June Show. The two main functions of this role are the workshops and the scholarship program and the workload can be spead throughout the year, depending to some extent on your availability. Nov-Feb can be a busier time when the bulk of workshop bookings are arranged. You are in control of the work you undertake and this can be paced according to your availability. Personal computer skills are necessary, and you would need to access a PC with internet facility either at home or the office, to conduct your duties. To express your interest or learn more about this position, please leave a message at the Guild office and Pamela will contact you. Don't forget that you can purchase a 2008 Guild Calendar for $15 from the Guild office. The Calendar Challenge Quilts are also available as a travelling suitcase exhibition. Contact the office for more information. 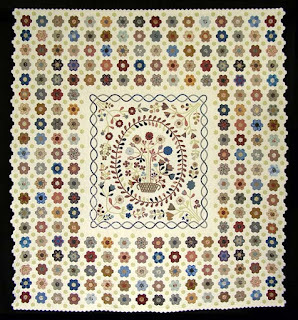 Other prize winning quilts from the Sydney Quilt Show 2007 can be viewed on the Guild's website gallery. A forest walk made me wonder how things look to a tiny forest floor creature. I love mushrooms and, after untold "crawling" photos, it all came together. Maybe we should try to see the world from someone else's perspective more often? This quilt began as therapy and ended up as insanity. It contains 10,650 half inch hexagons, put together the traditional way and quilted by hand.